time they are ordered to do so while their case is pending. Click here to see how bail works. as required then he/she may be returned to jail. is necessary. If you have questions, don't be afraid to call and ask! What can I put up for collateral? lien will be placed on your home based on the bond amount and the required equity (Market Value vs.
what's owed on the home). How do I determine equity for a home? home and the homes in your area are being sold for $475,000.00, then you have $100,000.00 equity. 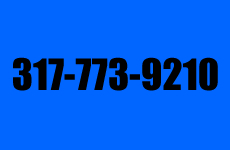 don't be afraid to call us! What if the person I bail out does not appear? the court or surrendering the defendant back to custody. What if the person I bail out gets re-arrested in a different county or state? What if the person I bail out refuses to go to court? What will it cost? amount if out of state ($10,000 for a $50,000 bond) plus costs incurred by our fugitive recovery agents. a nice vacation or donating to the Red Cross! Are there any additional legal fees? then you will be liable to pay for all legal fees. Once the bond has been posted at the jail, how long until the defendant will be released? defendants within 30 minutes to 2 hrs. Should I get an attorney to request a bail reduction? he/she could be released without posting a bond. Bail Reduction is not so simple as some attorneys claim. defendant has no priors then the court may grant a request. Remember justice is blind! What if a person has a Warrant? different. Call and ask for assistance. Why Should I use Hamilton County Bail Bonds? right direction. We enjoy bringing families together!